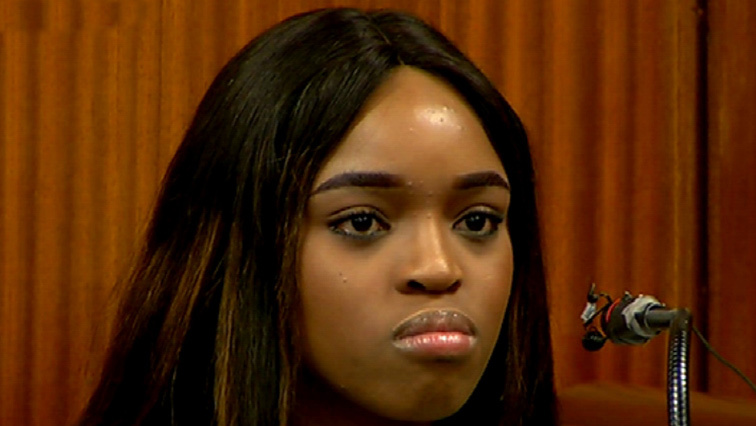 Another grueling day of cross-examination for Cheryl Zondi - SABC News - Breaking news, special reports, world, business, sport coverage of all South African current events. Africa's news leader. Zondi testified and underwent grueling cross examination for a week. State witness Cheryl Zondi, who claims she was under the control controversial Nigerian pastor Timothy Omotoso, since she was 14 years old, has told the Port Elizabeth High Court that she was raped and sexually abused multiple times during her visits to the mission house in Durban. During cross-examination by defence advocate, Peter Daubermann, she agreed that she was never forced and consented. Zondi, who is now 22 years old, has told the court that she did as she was instructed, even though she was not of legal age. After being abused and raped for two-and-a-half years, she left the church and returned to her mother in Secunda. She did not have any more contact with Omotoso for two years, but did communicate with her friends from the girl band. She was convinced that things had changed at the church, and longed to sing in the church again. She even tried to take her own life. She testified that she left her home to join a crusade in Port Elizabeth, though her mother was against her move. Responding to Advocate Daubermann’s question, she admitted to anticipating that the same things will happen to her again, she might again be raped and abused. Zondi says she was disappointed for putting herself in the same position. Instead of him apologising to her as she expected, he told her that he had forgiven her. He allegedly told her that if she left the church again, her punishment would double. This meant that she would drop dead or become insane. When Daubermann asked her why she didn’t leave, she said she was still paralysed by the hold he had on her. In the mission house, he would isolate her from other girls. She and two others had to sleep in a room adjacent to his, and were referred to as the wives. They were also not allowed to leave the house. Advocate Daubermann showed video clips of Zondi as a prominent singer in the Grace Galaxy girl band. On her return to the church, Omotoso prayed for her while kneeling at his feet and he welcomed her back. She in return said she was overwhelmed by the love she received; how grateful and happy she was to be back and was emotional when she told the congregation that she felt a void and thanked God for the man of God. Zondi told the court that while she was saying that she was experiencing a lot of pain and concealed her emotions. She, in fact, wished for his death. During cross-examination Daubermann accused her of being a great actress. Meanwhile, Chairperson of the CRL Religious Rights watchdog organisation, Thoko Mkhwanazi-Xaluva, says it is not unusual for people abused in church to fear coming forward. She says it usually takes time for victims to break the silence because the religious environment is viewed as sacred and religious people believe that their relationship with God should not be mediated in the court of law. She says she believes that churches must be closely monitored. Judge Mandela Makaula told Omotoso’s wife Taiwo in the public gallery to refrain from commenting and making gestures. Zondi will face another grueling day of cross-examination in the dock. Chairperson of the CRL religious rights watchdog organisation, Thoko Mkhwanazi-Xaluva, says it is not unusual for people abused in church to fear coming forward. She says it usually takes time for victims to break the silence because the religious environment is viewed as sacred and religious people believe that their relationship with God should not be mediated in the court of law. She says she believes that churches must be closely monitored. Meanwhile judge Mandela Makaula told Omotoso’s wife – Taiwo – in the public gallery – to refrain from commenting and making gestures. This entry was posted on 16 Oct 2018,09:41PM at 9:41 PM and is filed under South Africa, News, Homepage Featured Story Slider. You can follow any responses to this entry through the RSS 2.0 feed. Both comments and pings are currently closed.